You might be surprised to learn that diabetes is not one but many illnesses. These illnesses affect the production of the hormone insulin, which helps your body store sugar and fat. In a healthy person without diabetes, the pancreas works to produce insulin. Therefore, a healthy person will be able to eat these types of food in moderation without worrying too much. 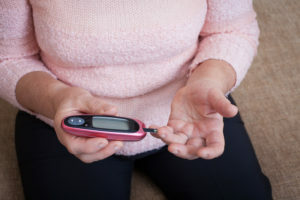 However, if you have diabetes, your pancreas creates either too little or no insulin, making it difficult for your body to digest sugar and fat. Since there is not yet a cure for diabetes, those who are diagnosed with the disease need to make sure they lead healthy lifestyles to prevent serious and life-threatening complications. There are three types of diabetes, named type 1, type 2, and gestational. Type 1 diabetes is often called juvenile diabetes and is an autoimmune disease. The body attacks its own pancreas, making the pancreas unable to produce the required levels of insulin. Hereditary factors may cause this. Those who are diagnosed with this type of diabetes need to take insulin to ensure that they stay healthy. Type 2 diabetes is also called adult-onset diabetes and is much more common than type 1. This type of diabetes often stems from being overweight or eating too many unhealthy foods. Both adults and teenagers can develop this disease. Luckily, it’s not as serious as type 1 diabetes, but it can still cause major health problems, including kidney and nerve issues. It can also cause heart disease and makes you more susceptible to strokes. Gestational diabetes occurs when a woman is pregnant. It usually occurs in the later stages of pregnancy and generally resolves itself once the mother gives birth. However, it’s still important for pregnant women to take good care of themselves during their pregnancies to avoid any serious complications from the disease. It also makes mothers more likely to develop type 2 diabetes later in life and can cause birth complications for the baby. Patients diagnosed with type 1 diabetes need to take insulin, so they are able to get the nutrition they need. Those with type 2 diabetes need to focus on living a healthy lifestyle, losing weight, and eating healthy food. 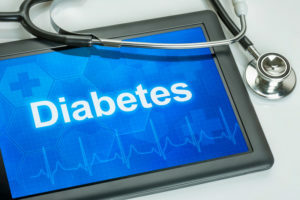 However, this condition tends to worsen over time, so they might also have to take specific diabetes medications to help offset the effects of the illness. There are quite a few risks associated with diabetes, so you need to get all the information you can if you are diagnosed with this disease. With the exception of gestational diabetes, this is a chronic disease, which means that there is no cure. However, you can live with this illness. By getting professional help from a doctor in Dartmouth, Massachusetts, you can live a happy and fulfilling life with your diabetes diagnosis. Come to Prime Medical Associates for all your diabetes resources. We can help you devise a healthy lifestyle and treatment plan that will have you feeling better than ever. If you’ve been diagnosed with diabetes, don’t panic. Call us and let us help you today.